There was a time when significant design changes in the automobile industry were made annually. Buyers were teased with “first look” photos months before each new model year. Today, change in auto design has become more “generational” with only slight modifications on an annual basis. 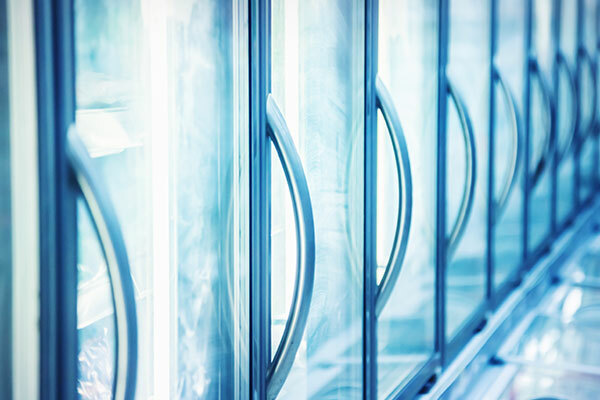 The opposite may be happening in the major appliance industry — an opportunity that appliance OEMs should take a closer look at. While large appliances are still largely being designed to be functional first — as exemplified by the decorative metal trim around refrigerator shelves that hasn’t evolved as much design wise — innovations in technology and increasingly savvy customers are starting to shift this paradigm. We’re already seeing signs of this with shifts in appliance features and technology — everything from improved lighting to digital systems that integrate a home’s systems in new and exciting ways, such as refrigerators using apps and cameras to allow people to check its contents remotely or without opening the doors. As consumers begin to look for, and are willing to pay for, high-end design to accompany advanced technology, appliance aesthetic could see its seat at the table improve drastically. OEMs are starting to dress up newer model appliance products to offer both higher form and function, but the adoption for high-end design isn’t as pervasive yet as it might be in a few years. While OEMs are beginning to push design trends forward with appliance handles and shelving, especially by marrying high-end glass with high-end decorative metal trim from the get go, the market hasn’t fully matured enough for these appliance treatments to be the new industry standard. Part of this is simple manufacturing math: OEMs may not believe that there are potential turnkey fabrication partners with the necessary capabilities to help them advance their designs. Often, OEMs will contact separate fabricators, one for the glass and one for the metal trim, and end up dismissing the project due to the high cost and complicated logistics of dealing with multiple vendors. Unfortunately, it’s a missed cost-saving and product-improvement opportunity that OEMs can capitalize on if they source the right partner for the job. A legitimate turnkey fabricator can help OEMs improve their bottom line by eliminating the need to outsource different stages of the process — resulting in reduced turnaround times and costs, as well as improved aesthetics and quality. When it comes to turnkey fabrication of high-end decorative metal trim for appliances, we have extensive experience handling both sides of the coin. Mills Products was the first to bring the “eye-level glass” oven door to the appliance industry back in the 1940s, and we’ve been marrying glass and metal trim together just about every day for years. In fact, we often operate as a turnkey partner for OEMs looking to streamline the manufacturing process. We eliminate the need for multiple vendors or outsourcing secondary operations by consolidating manufacturing and assembly in-house. If you’re an OEM looking for a turnkey fabrication partner to help design and fabricate high-end trim for appliances, as well as assist with sub-assembly and other value-added services, few can match our fabrication capabilities and expertise. To learn more about how we can help you achieve highly aesthetic, superior appliance parts, please contact us today.